Nutro dog food has a new rebate offer and you can get a $20 Visa prepaid card when you complete and mail in the rebate form. It’s a great way to save big on your dog’s food, so follow the steps below and watch for your $20 Visa Card in 4-6 weeks. Don’t see what you’re looking for or want even more money-saving coupons? Search the printable coupon database to find more printable grocery, household and pet coupons. Here’s a great chance to snag a FREE bag of dog food for your own fur kid or to use as a donation item for your local shelter or rescue group. 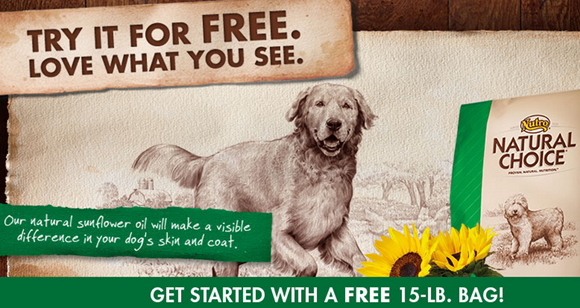 Thanks to Nutro, you can get a free 15lb bag of Natural Choice dog food after mail in rebate. Purchase a 15-lb. 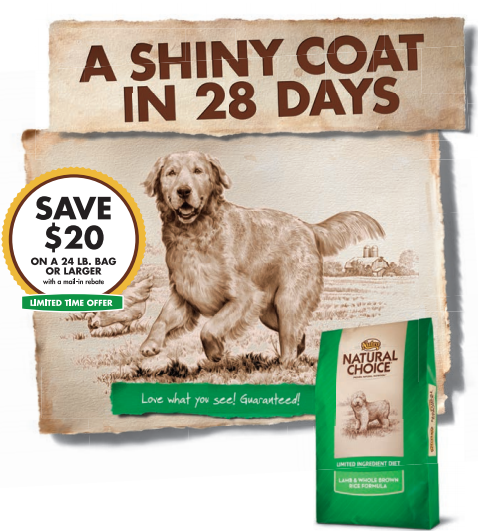 bag of NATURAL CHOICE Dog Food between 12/30/13 and 2/2/14. Print and complete the official rebate form here. Follow the instructions on this page. Save time, get organized and find out ahead of time what pet coupons will be in this Sunday’s newspaper with Sunday Coupon Preview! This week most regions will get one SmartSource and one RedPlum inserts with several pet coupons you may be interested in clipping. Remember, coupons and values can vary by region or publication, so it never hurts to take a look through your local paper to make sure you are getting what you expect before you pay for it! 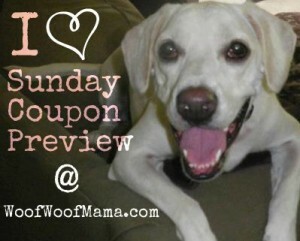 Get $15 or $25 OFF Coupon for PetFoodDirect thru 10/7 Only! PetFoodDirect.com is celebrating World Animal Day with 2 special coupons. Use code Happy25 to Save $25 on orders of $125+ or Save $15 on orders of $75+ with coupon code Happy15. Offer ends 10/7/12 at 11:59pm ET. In addition to nearly 150 brands of pet food, they also carry pet treats, cat litter, toys, fish supplies and more for whatever type of critter you have! While you are there, be sure to check out sale items including Greenies, Wellness Dog Treats, Nutro Pet Food plus up To 50% Off HALLOWEEN AND FALL PRODUCTS, including costumes, cookies, and fun flavored food! Get $5 Off any order $45 or more at PetFoodDirect.com With Code:PFDSAVE5 OR, New Customers get FREE SHIPPING on orders $49+! Use coupon code SHIPFREE at checkout! 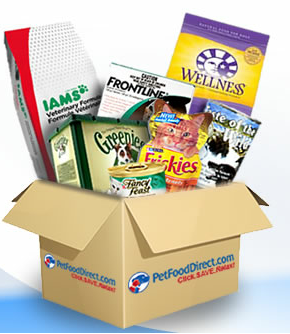 Visit Pet Food Direct here to get started!